1) When Unify Desktop downloads an order, it is downloaded based on the initial order status and order information at the time of download. 2) If information is modified within the online store or within Unify Desktop, the order can be refreshed or updated and the information modified, can be applied to the order. 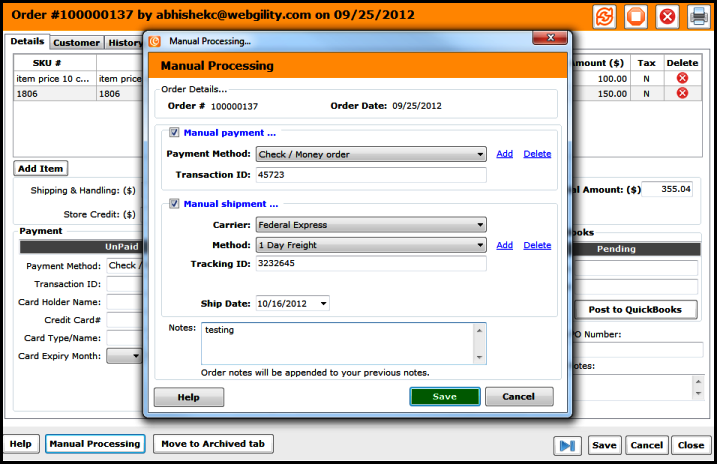 3) Unify Desktop is able to isolate the order in the Updates tab so the information can be verified by the user. 4) NOTE: if an update is applied to an order it's status in regard to QuickBooks is reset. This means that Unify Desktop will not show the order as posted to QuickBooks if it already has been. Lets take the example of order 100000137 below where we manually processed the order and added a shipment tracking id to it. 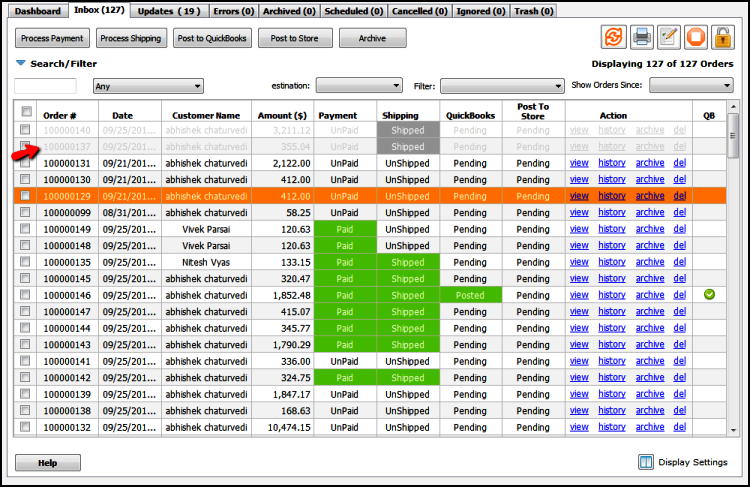 A change in shipment details is one of the scenarios that activates the order refresh functionality in Unify Desktop. 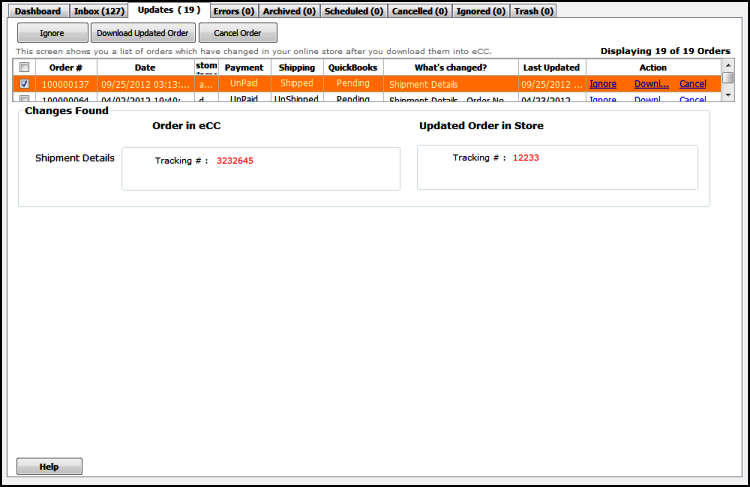 Unify Desktop then confirms that the shipment has been recorded. Immediately after Unify Desktop's confirmation of shipment record, it tells us that shipment details have changed in Unify Desktop and would we like to post these updates to the store. Placing a checkmark on 'Remember this action', will create a rule based on the click on a yes or no. An automatic rule will be created and the prompt will not appear for the same thing again. 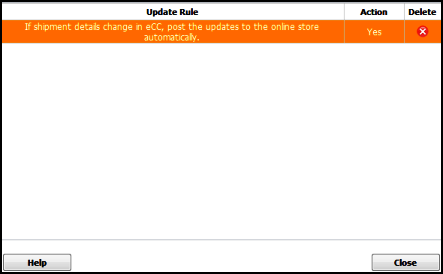 For each Order Refresh Scenario, a different rule would be created. For this example we have clicked on a yes. After the change in the shipment info, order number 100000137 is disabled in the inbox. To be able to work on this order you would first need to go to the updates tab and accept or refuse to accept the changes made. You can do so by clicking on the Ignore / Download Updated Order buttons. You can also cancel the order by clicking the Cancel Order button. Please click here to view the list of shopping carts, which supports the "Order Refresh" functionality.